The development of new products is largely necessitated by the needs and requirements of business. A primary focus of business is uncovering new and improved methods and ways to preserve resources such as time and money. Virtual Reality has presented another avenue for small businesses, a lot of large corporations, and private individuals to improve efficiency and overall ability to function as a profitable organisation. Using VR, companies are finding that they can reduce costs, improve their decision making proficiency, and become more directly involved in their efforts to communicate data with others – owning their own content. A fully immersive Virtual Reality represents the future for many businesses. Many have already put the technology to use and are seeing the benefits. Operating systems and how businesses function in the future will be largely reliant and improved by how they apply and use Virtual Reality technology. Many systems that are presently being used in industry, stand to benefit from the improvements and relatively inexpensive alternatives offered by Virtual Reality. A few of the areas in which Virtual Reality is proving its usefulness and effectiveness are in spreadsheets, information management, virtual designs, virtual prototyping and the stock market. In order to ensure that workers are afforded the opportunity to put their human talents to maximum potential utilization, businesses have the option of customizing the way it represents and communicates real and abstract data. Business have also embraced the cost effective reality of using the technology. Money can be saved at different stages of the development process through applying Virtual Reality technology. For instance, companies can test a prototypes whilst skipping the stage of having to develop many versions of it, which is often expensive and time consuming. One of the major aspects of Virtual Reality that appeals to businesses who are seeking means to improve efficiency and grow, is the idea that products can be tested in the very early stages of development and additional costs (and risk) to the business is negated. For firms that are in the business of producing products that are potentially dangerous and/or could cause harm, and thus require to be put through extensive evaluation processes, Virtual Reality technology is particularly useful. Products can be tested within virtual environments, which means that any potential threat or risk to employees is significantly reduced. Some companies are seeing value in Virtual Reality in giving them competitive advantage. They use the technology to aid in analysing data and forecasting trends. One example is a virtual reality and analytics platform that was developed by Retinad. Traditionally analytics are done using some sort of 2-dimentional visualisation, like a bar of line graph. Retinad displays analytics such as, browsing history, navigation patterns and purchasing behaviours on an e-commerce website, in a 3-dimentional visualisation of behaviour and statistics. For many professional (in technological industries particularly), trying to communicate and explain how industrial equipment or complex products operate can be difficult. By using Virtual Reality, the operations and capabilities of a machine or product can be better communicated. The 360-degree view presented by VR, allows users to see images from different angles. They are able to comprehensively understand all the features of the design. Watch this 360-degree video of the Gold Rush: Follow the Gold – Sluicebox. Office space is an important consideration for efficiency in the workplace. An office space needs to be optimized for the people that will be using the space and the type of work functions they will be performing. Virtual Reality is useful in allowing planners to experience a new office space before committing to it. They can perform tasks they would normally perform in this virtual office space environment, such as, hold meeting or simply sit down at a cubicle. In this way, they can get a better sense the environment and determine if would result in increased productivity and overall efficiency. Training is a necessary input for most businesses, however it can be time consuming and expensive. It is arguable that most people learn better through active participation and exposure to particular tasks that are involved in the job requirements. Virtual training is a great alternative offered by VR technology. It is not only effective in a factory or construction site, for example, but instead Virtual Reality for training can be extremely useful in a range of different professions. Virtual training enables familiarity with processes, aids efficiency, productivity and safety. Irrespective of what industry you are in, the hands-on, engaging approach to learning can have greater impact in retaining information, compared to traditional methods of learning such as manual guides or instructor-led training sessions. The use of Virtual Reality technology in business is still in its infancy and yet, it is already proving to be effective in improving operations and helping companies stay ahead of a competitive market environment. The true potential and the many areas Virtual Reality can be applied are yet to be uncovered. 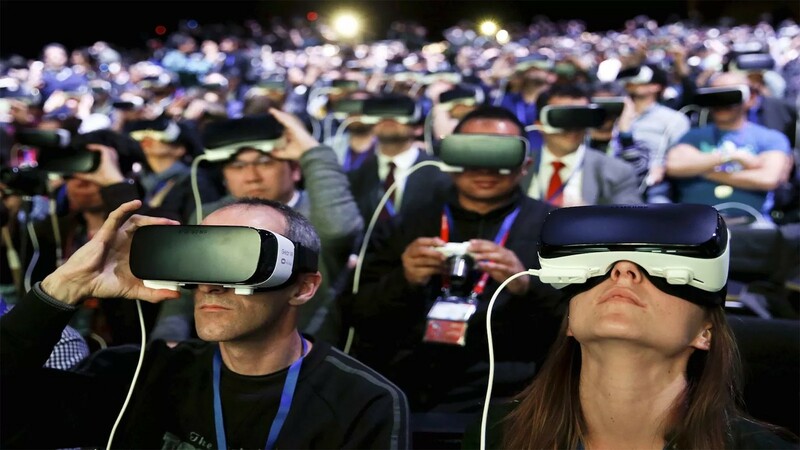 The organisations that realize the cogency of using VR in their process, will be leaders of the proverbial pack. For more information on how we can assist with getting your business into virtual reality, feel free to contact us for more information or to arrange a demonstration.